Latham produces a wide range of traffic management devices for dense urban environments. 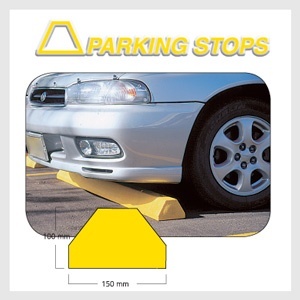 If you’re looking for parking wheel stops or speed humps for Sydney and Melbourne type parking environments, then you will find Latham’s range of systems ideally suited. The range includes speed breakers, rubber wheel stops and parking lot bumps that offer easy to install solutions for speed and safety management. As the products are developed from rubber or durable plastic, they are maintenance free and lightweight enough to make transport and installation straightforward. The Latham Speed Humps Version 1 has been successfully used worldwide as a speed deterrent for more than 25 years. It is ideal for areas of intense traffic such as manufacturing sites, large retail parks, and hospitals. It is an extremely durable product that can cope with loads of up to 30 tonne. The modular construction allows for easy installation and the potential for simple relocation. The yellow and black rubber coloured sections provide a highly visible speed deterrent while the grooved surface texture provides improved traction in wet or icy conditions. The end caps allow for the safe passage of heavy vehicles such as forklifts and trucks as well as bicycles and pedestrians. 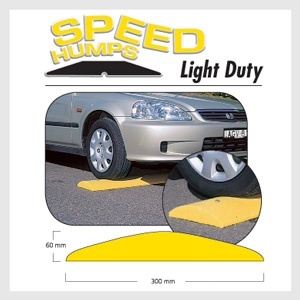 The Light Duty plastic car park speed bumps are ideally suited to car parking and driveway environments. 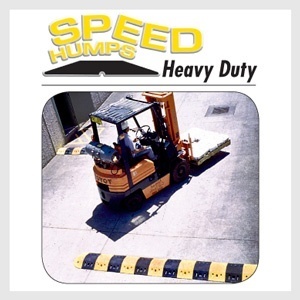 They offer superior strength and durability at a fraction of the price of asphalt speed humps. The product is manufactured from a durable 100% recycled plastic that is easy to install, maintenance free, and chemical and weather resistant. The construction offers a lightweight and stable product that is available in 1800mm lengths and weighs 17kg. The bright yellow colouring enhances visual safety. Latham’s wheel stoppers are ideally suited to environments such as carparks or office parking areas. They offer an affordable and effective way to control the positioning of vehicles within carparks without any risk of damage to the vehicle or tyres. The product is manufactured from chemical and weather resistant 100% recycled plastic. Available in 1800mm lengths and weighing 13kg, they offer easy installation and are maintenance free. Have an enquiry about access covers for your next project?